Does he or she sincerely listen to your wants and needs for the home? Is there an effort to build a comfortable working partnership between you two? Is he or she experienced enough to know all the necessary information about the homes and neighborhoods you are viewing? Has he or she closed many properties in the recent years? How often do they communicate with you on the phone or via email? Real estate agents these days have to be web savvy enough that they can be reached through mobile technology as well. Are they available to you when you try to get in touch with them? Is the agent a local Fort Worth market expert? Is he or she able to give you credible advice about the Fort Worth housing market, the homes you view, and the entire home buying process? Does the agent listen to you? Is the agent a full time Realtor? These are only a number of the things you may have to think about when you are choosing a Fort Worth real estate agent. Find out more on how your choice of a Fort Worth real estate agent is critical to your home buying experience by reading my free-book: Your Ultimate Guide to Buying Your First Home. 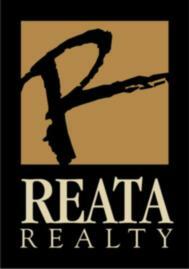 We, at the Reata Realty, make sure that we can offer you all these and more. This is a huge step for you, and we want to be certain that you have a smooth transition into owning your first home!